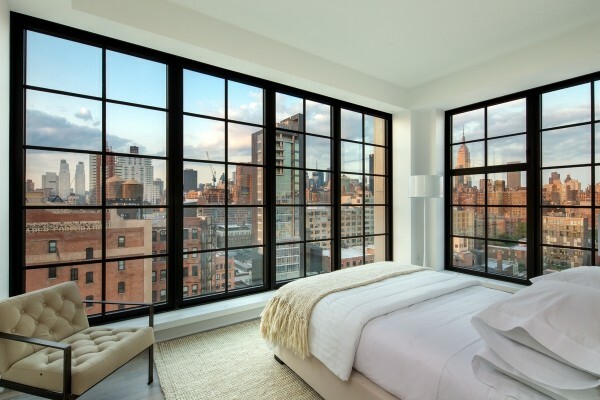 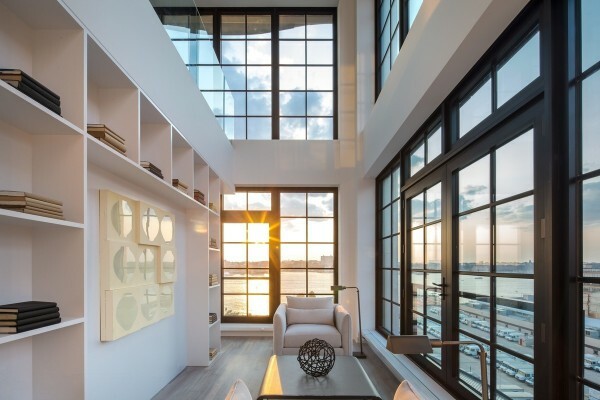 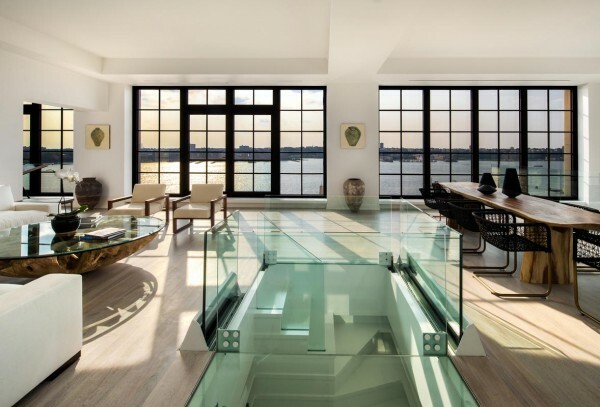 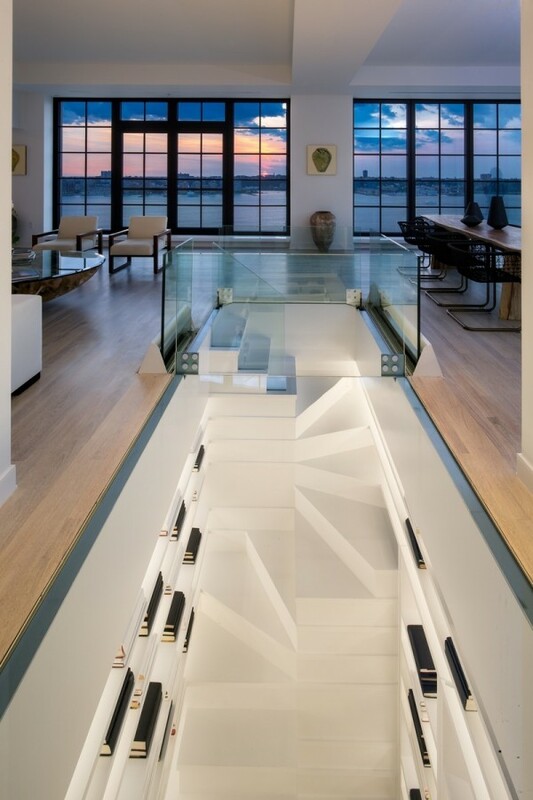 If I were to design or live in a dream penthouse, this probably would be it. 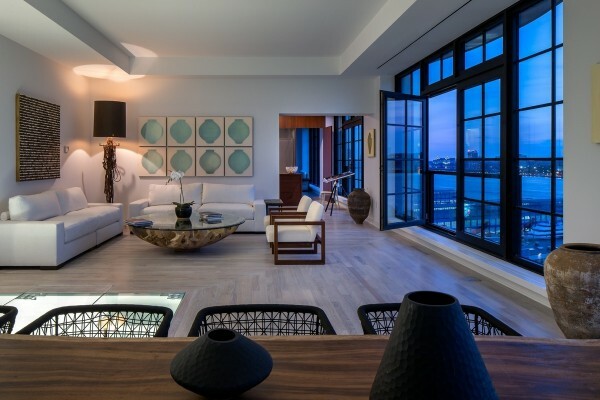 The lovely floor to ceiling windows and well -lit interior, gives it a dreamy and luxurious feel. 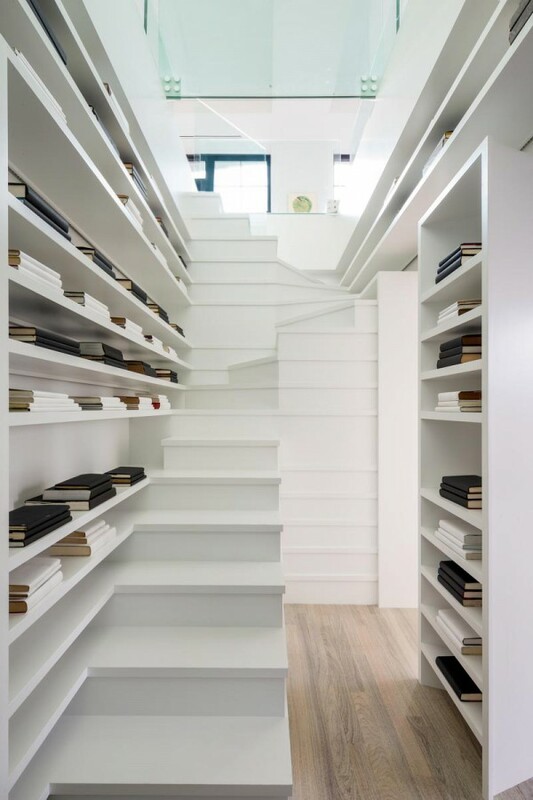 The staircase is a beautiful series of bookshelves that add a special and unique character to the space. 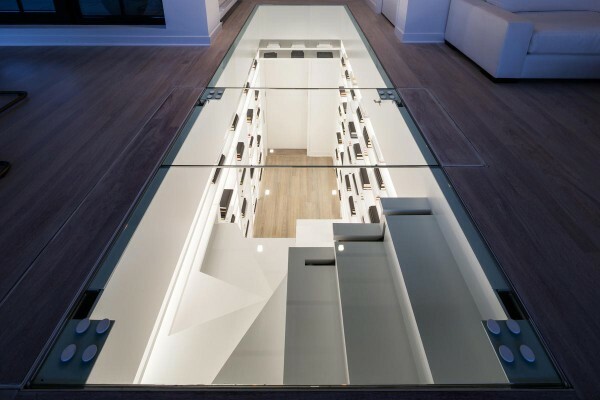 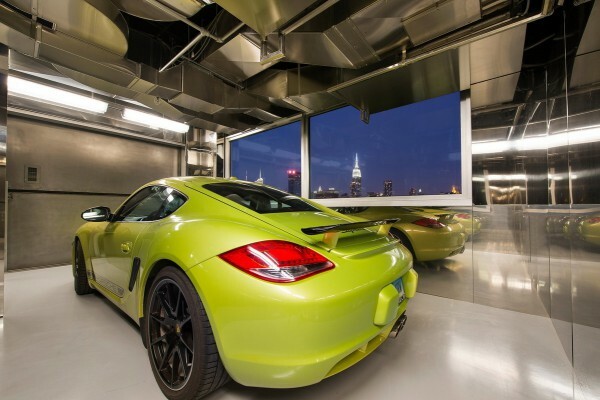 It is known as the Sky Garage Penthouse due to the fact that you have an en suite car garage, how convenient! 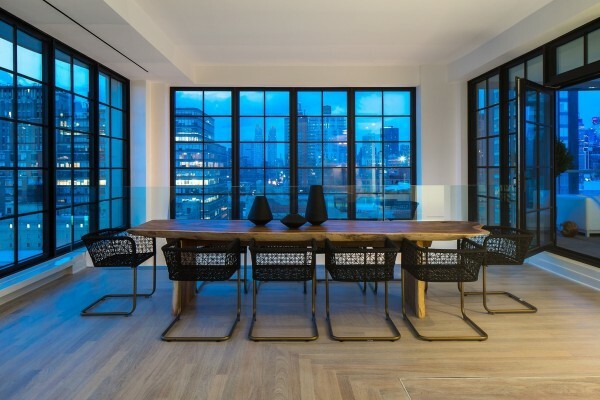 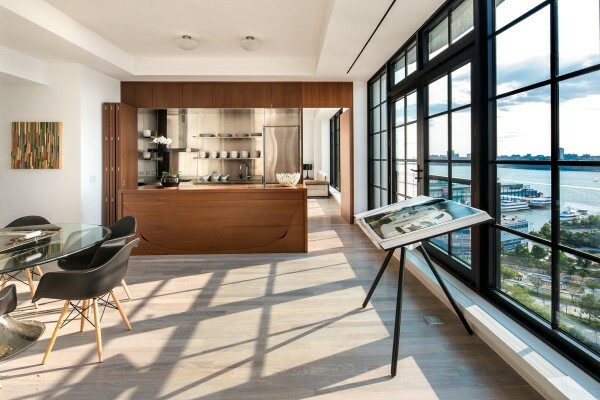 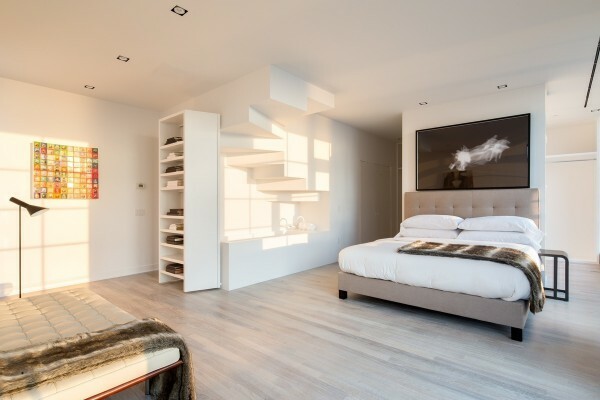 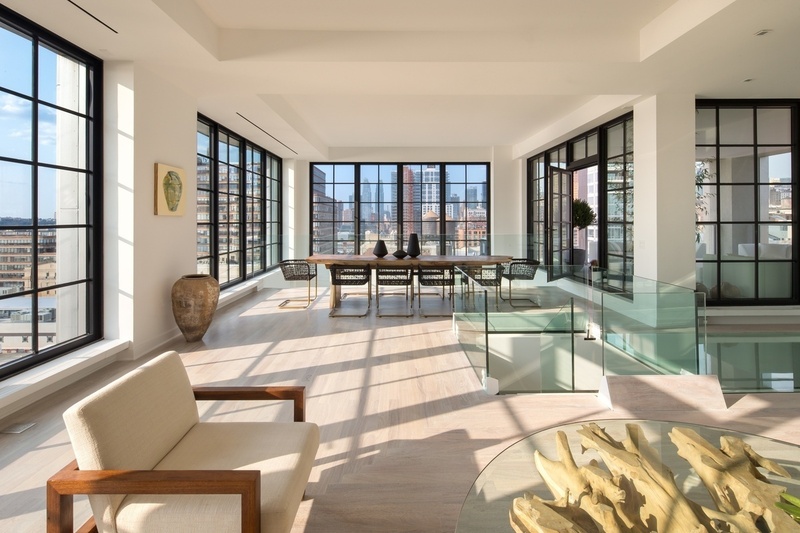 200 Eleventh Avenue is equally renowned for its En Suite Sky Garage, a garage that sits alongside the penthouse accessed via a drive-in elevator: the 60-second ride from the lobby to your garage provides unparalleled convenience and privacy. 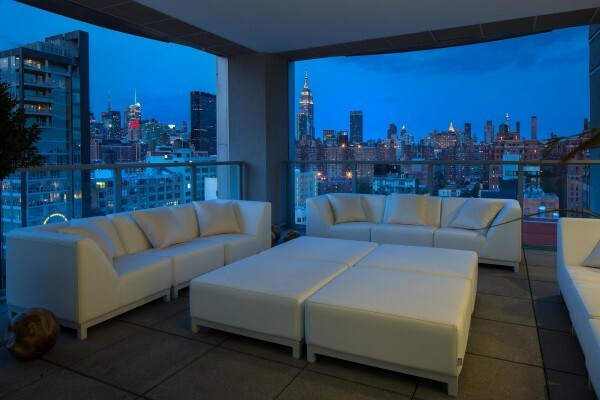 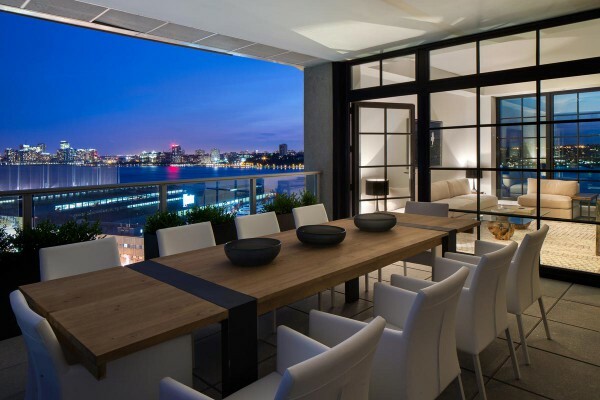 This penthouse is for sale, you can check the below website for details on the property.